i love this post, i recently got a sample of estee lauder double wear and i'm loving it it matches my skin color perfectly and it's very light and has a great coverage. About the mascara i totaly agree with you, it is a save! i've always used a cheap mascara i usually get from the dollar store or similars because they are the ones who work better for me, i have long lashes but flat and i curl them every day and when i use expensive mascaras my eyelashes get flatter since expensive mascara is heavier, omg, i wrote a letter here. The point is you should try a very cheap mascara, they work great. 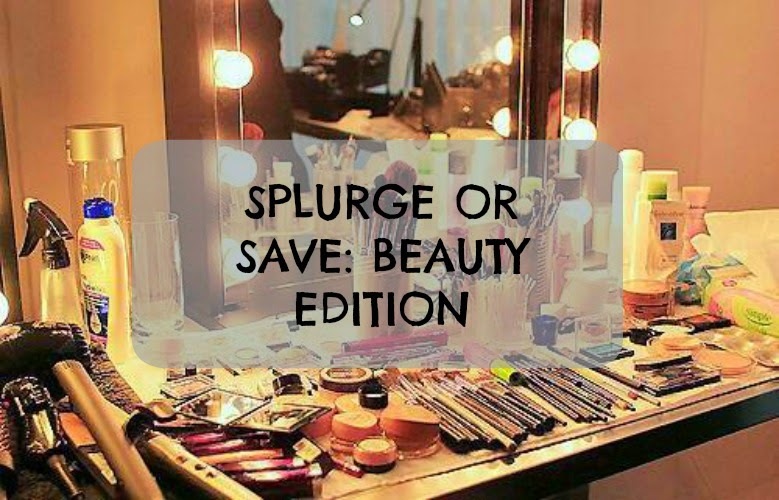 I splurge on concealer and shampoo - they are definitely my biggest expenses. I'm an acne prone girl too and find that mineral make-up to suit me best! I use Lily-Lolo which is a british brand, BUAV approved and online. Foundations are around £12 I think and they have so many shades. So if you ever find the £40 high-end price tag too high, have a try at some lily lolo, the zinc oxide it what makes it so great for acne-prone skin :) I totally agree about eyeliner, you so don't need to spend much, at all! Love how we agree on nearly everything on here. I am also a massive fan of Clinique and its the only thing I use on my skin. My favorite eyeliner though is Soap and Glorys supercat, its literally amazing!